When I began my weight loss journey I was 175 pounds. I was self-conscious and didn’t want to be photographed. Before I began this program, I tried just about every other diet plan out there. I even hired a personal trainer and worked out 6 days a week but saw no real results. This program gave me the tools I needed. It provided support, structure, and accountability. I also cleared up my acne and digestive troubles. I have now kept my weight off for over a year and currently weight 122 pounds. I can fit into all of my skinny clothes. The best part is that I no longer have horrible sugar or fast food cravings. My mood is better and I feel happier, more energetic, plus my self-image is better than it has been for many years! I have never been one for diets and life change, but I can honestly say that this has changed my life and life style. It is not really a diet; it is more of a mental and physical life changing program. It is a ride that I recommend anyone take. I am 18 and I Lost 35 Pounds! I reluctantly went on the 5 week Candida program at my parents urging. I had been fighting my weight since Junior High. I generally ate the typical teenage diet of burgers, pizza, chips, fries and sodas. I did not equate what I was eating with my excess weight, joint pain, frequent skin breakouts, allergies, heartburn, stomach aches and frequent colds/flus. I not only lost 35 pounds, but all of the other symptoms I was experiencing went away. The best part is that I rarely get sick now. I was lucky to have parents that eat healthy and cooked for me, but I also learned to make some great tasting food that satisfied me. I lost my sugar cravings and have now kept my weight off for over a year. I entered high school heavy and didn’t have the self-esteem that I have today. I am so excited to be entering college feeling slim and pain free. I recommend this program to any teen that is committed to changing their life! Kelly Went From a Size 10 to a Size 6! I was eager to begin on the Solutions 4 program with Dr.Richard and Linda Arrandt, to finally get my yoyo weight in check. I did the 12 week program after the long holiday season. When I finished in April I had lost over 28 lbs. Now in November I am down 34 lbs. This program has changed my eating patterns and my lifestyle. I love the way I look and feel. I went from a size 10 to a 6. The program is amazing and is also a personal journey. I was guided through with the amazing help of both Linda and Dr. Rich and never felt alone or desperate. Their instruction and knowledge helped me to be successful. I use a lot of what they taught me in my daily life. I think of food differently now and my results prove it. I have had people come up to me and tell me how great I look and that I do not look my age of 50. Talk about an ego booster. I believe the supplements and eating properly has taken time off my face and complexion. My own dermatologist was amazed last week at my appointment, of how great my skin and my face look and I told her what I did. She said that this definitely was a plus for me and my skin. I love this program because it is for life and the lessons you learn, you apply to your daily life and maintenance. I even indulged for my 50th birthday month and still did not gain any weight back because I practiced what I had been taught. If you are exhausted of dieting and gaining and dieting then this is the program for you. 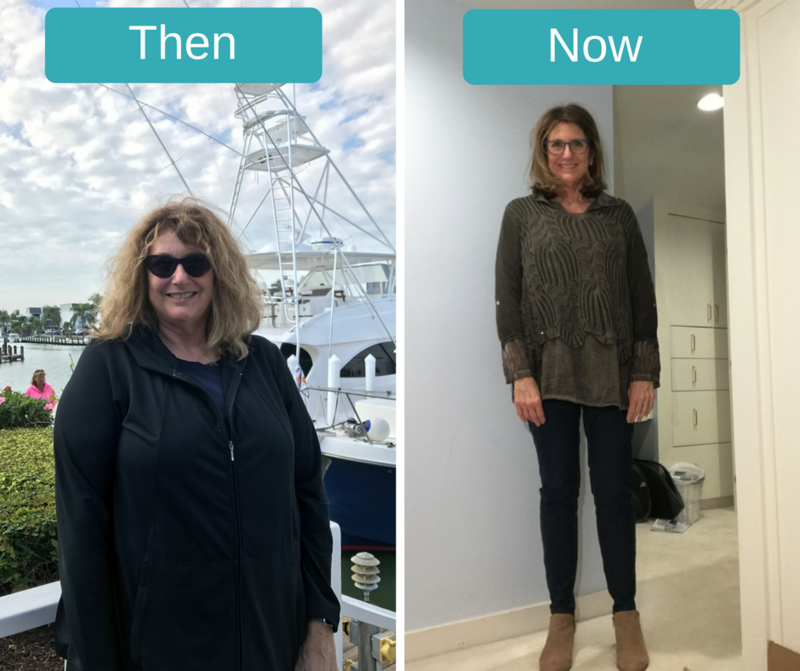 I tell all my friends and the ones who were on the program with me, “It is not a DIET, but a lifestyle change.” It really gets you back to a healthy point, where your body was meant to be. It just takes the will power to make the choice to begin. Once you begin, you will not want to go back to your old habits when you look and feel so great!!! I Have Lost 30 Pounds in 12 Weeks With More to Go! I Lost 10 Pounds in 141/2 Inches!